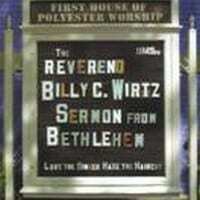 Reverend Billy C. Wirtz is a comic genius, gifted pianist and American musicologist who defies easy classification. The eclectic, wide-ranging subject matter of his songs, administered with sharp wit and biting satire, has fans rolling in the aisles during his manic live performances. 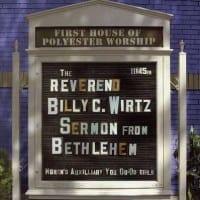 Sermon From Bethlehem, released as a CD as well as a DVD, documents Billy live at his schizophrenic best, careening non-stop through a selection of old comic favorites ("Roberta", "Grandma VS The Crusher", etc.) and soon-to-be classics ("Female Problems", "Do The Toleration", etc. 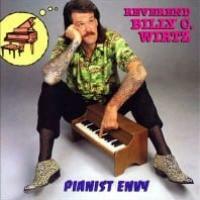 ), as well as knocking out some of the smokin'est blues and boogie-woogie this side of Sunnyland Slim. The companion DVD has a significantly different program than the CD and includes an interview. Track Listing: 1. 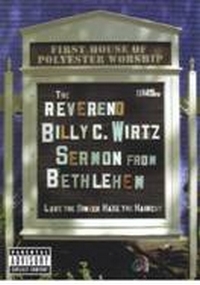 The Reverend Takes the Stage – 0:28 2. Rev It Up ’94 – 6:03 3….